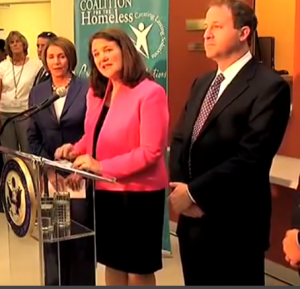 From left: Nancy Pelosi, Diana DeGette, Jared Polis.Red alert, folks. The Free Beacon is dropping a bomb and it’s not something we have heard before about Congressman and Democratic gubernatorial candidate Jared Polis. According to a police report, he basically assaulted his 46-year old secretary after she quit, thinking she had taken sensitive documents. How does a guy go from shoving his secretary so hard that she sustained bruises to pontificating about women’s issues? We would argue that the most basic of issues is physical safety. Call us crazy. Here’s the kicker. After this episode, Polis (then Schutz) changed his name to Polis and ran for office. Convenient, right? We fully expect the same women who are calling for President Trump to withdraw his Supreme Court nomination of Judge Kavanaugh to also start waving this police report — actual proof — and demand that Congressman Polis resign immediately, and suspend his gubernatorial campaign, permanently.